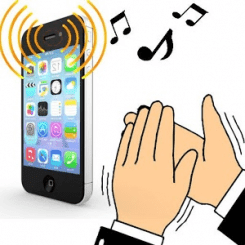 This app will allow you to find your phone by a simple clapping if it often happens to you to lose your phone in the office, the room. To operate clap phone Finder, just clap your hands and your phone will start vibrating, flashlight lit or ring according to the application setting which will allow you to locate it very quickly. Clap phone Finder informs you about the location of your lost phone.